Our Monthly Savings ISA has been specifically designed to give you tax-free benefits, competitive returns and much more flexibility. It is a Stocks and Shares ISA. With our Monthly Savings ISA your money is working hard for you AND you’re in control! It’s a stocks and shares ISA and allows you to shelter £20,000 from the taxman every year. *A new guaranteed two year rate will be set in April 2020 for amounts invested in tax year 2020/21. This plan has only been offered since 2016 and therefore has no ‘past performance’ to show. However, an indication of future returns can be guided by the guaranteed annual bonus of 2% until 5 April 2021. 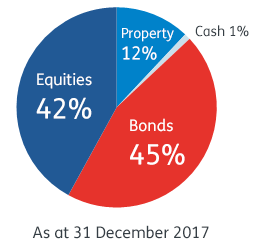 This rate applies only for amounts invested in 2019/20. The annual bonus rate applying to amounts remaining invested after the guaranteed period will be no less than the annual bonus rate for our Lump Sum ISA. What are the early redemption charges? Withdrawal or transfer of any amount invested in previous tax year – 3% of the value.